Most events are attended free of charge with revenue being generated solely through the sale of photograph prints and digital media. A deposit is taken for weddings and this is refunded through the form of credits to be used against photographs. Please contact M4Photo with regards to pricing of corporate events. M4Photo provide a results based, low cost and high quality wedding and club event photography service. 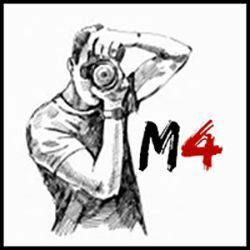 M4Photo's services are designed to support low budget weddings, club and commercial events where the bride and groom or event organiser wishes to minimise the risk of no images where a single photographer is to be hired. M4Photo's photography packages provide a no risk solution with extra benefits that are uncommon with many other photography companies. I post all reasonable images to the gallery online. The only images removed are those that are not suitable for sale for whatever reason. Photos are usually posted online within 24 hours of the event completing. I have a dedicated website with club, organisation or personal galleries. These can be password protected if required. Each event gallery is posted into the main gallery to make finding your images super easy. Canon full frame camera with L series professional lenses. Canon semi-professional crop sensor camera. Mitsubishi event printer. Canon Pro post-event printer. Lightroom, Photoshop, Proshow and PayPal. Journalistic / Documentary style photographs. No - As a single shooter, I dedicate my whole day to the one event that I am covering. Journalistic or Documentary style photography. Photo booth photography using a backdrop and studio strobe lights. Online photo gallery. Onsite and off-site printing. Digital image files with Reproduction Rights. Event Photography. Wedding Photography. Commercial Photography.